The railway line in East Durham. 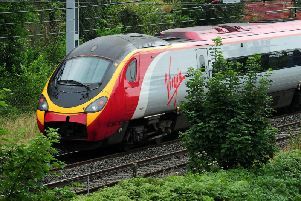 A new multi-million pound railway station project has been given council backing in its latest budget. Durham County Council has pledged £750,000 for a new railway station at Horden from the authority's 2018/19 budget. It is hoped the new station will open in 2020, the cash will be match funded from the New Stations Fund and the Local Enterprise Partnership. It comes as the council has agreed a 2.99% increase in council tax for 2018/19 – with an additional 2% increase to the Adult Social Care Precept. It equates to a £1.38 per week rise for Band D properties and 92p per week for the majority of council tax payers who live in Band A properties. Leader of Durham County Council, Coun Simon Henig, said: “We are continuing to invest in the future of County Durham by maintaining our focus on economic development, transport and schools. The funds, which are ring-fenced for capital projects, were agreed by councillors and bring the total capital investment linked to the organisation’s Medium Term Financial Plan up to £360 million. Over the next four years projects set to benefit from the capital programme include a further investment of £19.1 million in highways maintenance up to 2019/20 in addition to sums agreed in 2018/19. The council is also continuing its support for fledgling businesses across the county, with almost £1 million allocated to the Finance Durham Fund - bringing the total investment to £10 million. In addition the capital programme includes money for a proposed new primary school in the Bishop Auckland area, where new housing is placing pressure on school places. There will also be extra revenue funding for a number of areas of social care in 2018/19, including £3.9 million to support looked-after children, £1 million to support special guardianship arrangements, a £375,000 investment in the authority’s social work academy as well providing £4.8 million for adult social care to meet on-going pressures.